Mike Caruso, Orland Park Consolidated High School District 230, USA "We knew caching was one of the best ways to differentiate from our competitors, we just needed a new, cost-effective, solution"
Gregory Eid, Managing Director at Teledata ICT, Ghana "CACHEBOX saves bandwidth and delivers content much faster." Web caching can help to manage the enormous increase in bandwidth-intensive video traffic from sites. Because this traffic does not behave like simple HTTP web pages, some caching solutions cannot handle it. Content Delivery Networks (CDNs) – many video websites store the same content at multiple URLs. Many caching solutions treat each URL as unique content, so do not serve content from cache. 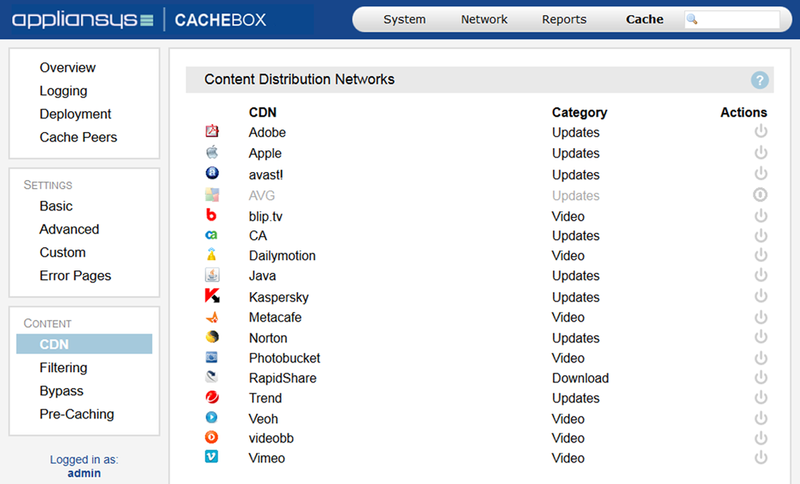 CACHEBOX’s video extensions solve this problem; it locates and serves video site content by identifying the underlying video object – regardless of which server it is requested from. Rule changes – even if a caching solution can handle CDNs, websites often change the rules for presenting their content which can break caching mechanisms. User behaviour – changing a video’s resolution, skipping forward and using other video controls can confuse a cache into storing multiple segments of a video that are not likely to be requested again. CACHEBOX storage doesn’t get filled up with video fragments that have little chance of ever being served again.